Elegant traditional cardigan for men in the trend colour navy. 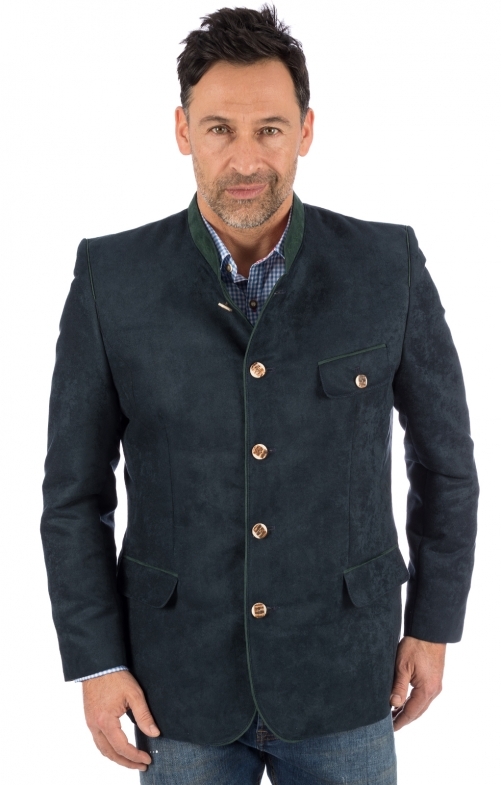 The fashionable men's jacket in the traditional costume style from our online shop goes perfectly with trousers, jeans and leather trousers at a national costume party. The comfortable fit makes this traditional jacket made of easy-care polyester the perfect companion in everyday life. In particular, the fine elements in traditional style such as the green piping on the pockets and the button placket, which blends into the green stand-up collar, make this model an eye-catcher.